Utter Trash: Why So Serious? 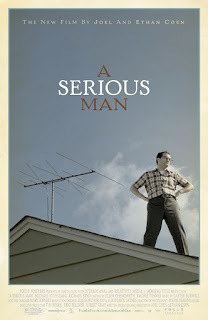 An early scene in A Serious Man, the latest from writers/producers/directors Joel and Ethan Coen, references the paradox of Schroedinger’s cat. It’s an illustration from the field of quantum physics in which there is a cat inside a box that may be either alive or dead, or possibly both simultaneously. According to the illustration, the cat will remain in this indeterminate state until someone actually looks inside the box. In other words, we don’t know what we have until we examine it. Until then, all possibilities remain, but none of them are “real”. That’s a major simplification of a pretty complex idea, but it should do for this review. The man who provides this illustration is college physics professor Larry Gopnik (Michael Stuhlbarg), who doesn’t realize how apt a metaphor it is for his own state of unexamined existence and unrealized potential. That all changes one day when Larry wakes up to find everything he believed to be true is wrong. His wife (Sari Lennick) is leaving him, the only time his son (Aaron Wolf) has any use for him is when the TV antenna on the roof needs adjusting, his daughter (Jessica McManus) is stealing money out of his wallet, and his freeloading brother (Richard Kind) is tying up the bathroom draining his sebaceous cyst and getting into small time trouble with the law. It’s just as bad at work as it is at home. Larry’s tenure could be in jeopardy due to a series of anonymous letters accusing him of moral turpitude, he’s having trouble with a student trying to bribe him for a better grade, and someone from Columbia House Records keeps calling to collect on the last four selections of the month, which Larry is sure he never ordered. How and why is all this is happening ? Is it bad luck or a curse from God, and what can be done about it? No one, including the rabbis at Larry's synagogue, seems to have any answers. Larry could use a hug, but the only one offering is Sy (Fred Melamed), the man his wife is leaving him for. That’s an awful lot of misfortune for one man and one film, but this being the Coen Brothers, comedy and tragedy walk hand in hand. Some of the film’s funniest moments are its darkest, proving the old axiom that it’s tragedy when it happens to you, it’s comedy when it happens to someone else. The film gives the audience a lot to think about, including issues of faith, the nature of truth, the power (or lack thereof) of storytelling, and what it’s like to be a middle class Jew living in the suburbs. It probably requires more than one viewing to fully digest, but like most of the Coen Brothers’ works, it also functions as pure entertaining cinema. Each member of the mostly unknown cast is a perfect fit for their role, and the writing and direction are the Coens at their best. No doubt the ending will annoy some, but it’s completely in keeping with the central theme. Two characters are left hanging between life and death. What’s their fate? You’ll have to look inside. I LOVE the story title you gave your review here! You managed to evoke a smile on my somber early morning face. Thanks! 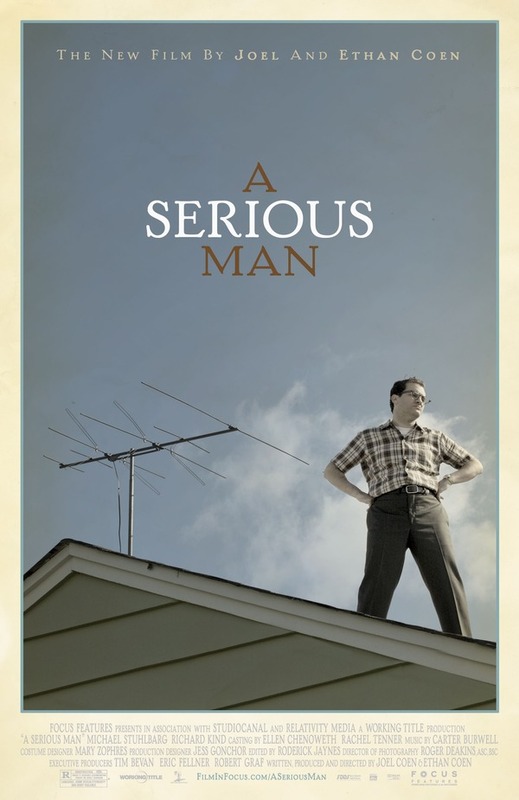 Love me some Coen Bros., cant wait for this one to arrive, interesting that they chose to do this film with a cast of unknowns...usually they have every actor on the planet wanting to be on their next film.